I made you some Grain Free Energy Bites. Vegan too! So the other day I made some Hazelnut Milk. It was delicious! 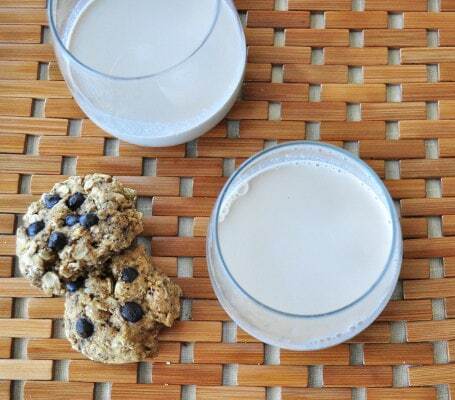 When you make nut milk, you are left with a “meal.” You can dry it out in the oven and use it in gluten free baking. I have not had much success with my leftover almond meal in the past. I had always tried making baked goods, but could never really get anything to bind. Then an idea came to me. Make some energy bites. The dates helped with the binding. Success! These are vegan, dairy free, grain free and gluten free. I would love to hear other success stories when it comes to re-purposing leftover meal. Please share in the comments! Throw everything in the food processor and mix until a dough forms. If it seems a bit dry, you can add more water. Roll into balls and chill in the fridge for an hour to set. This also would work with leftover almond meal as well. I would like to note that these are mildly sweet, so if you like an extra sweet flavor you probably want to add a few tablespoons of liquid sweetener. I liked them just the way they were. can you sub the hazelnut meal? Sure. Just sub with another flour if you like. Almond flour should work. I'm not a coconut fan. Any suggestions for alternatives? You can try using oats or sun flower seeds. Just wanted to update you that I have made these twice now using oats in place of coconut. It does require more water and I have added some vanilla extract and chopped chocolate, rolled in chia seeds. My family loves them! My husband says that they taste like cookie dough. Thanks! Im not a fan of coconut either. Thanks so much for the idea. Almond meal also makes a wonderful natural exfoliate for your face, hands or body. Love mixing a little of the dried meal with some cleanser or lotion and exfoliate away. Leaves you feeling so refreshed and clean. Always follow up with a good moisturizer. You can change up the consistency by blending more or less after the drying process. Oatmeal is another wonderful moisturizing grain to blend and add to a banana mask. Raw honey masks are awesome too and can be used alternating between the almond exfoliate. I don't recommend using the almond exfoliate more than 1 - 2 times per week or as needed. Love how whole foods bless us internally and externally. I had no idea. Thanks for sharing! THANK YOU SO MUCH FOR RECIPES. I WOULD LOVE ANY OTHER HEALTHY IDEAS. THANK YOU VERY MUCH. Can I buy nut meal somewhere? Yes you can buy almond meal at almost every health food store. You can also grind up almonds in a blender to make your own meal. The almond meal can be used to make "meat-less"balls - mix 2 cups of the meal with 6 eggs, a slice of bread, a splash of water, 1 clove garlic, parmesean cheese, oregano, a bit of salt/pepper. Bake at 375 for about 1/2 hour. Do I bake the almond meal before making these or use raw nut meal? You have to dry out the pulp before you use it in this recipe. 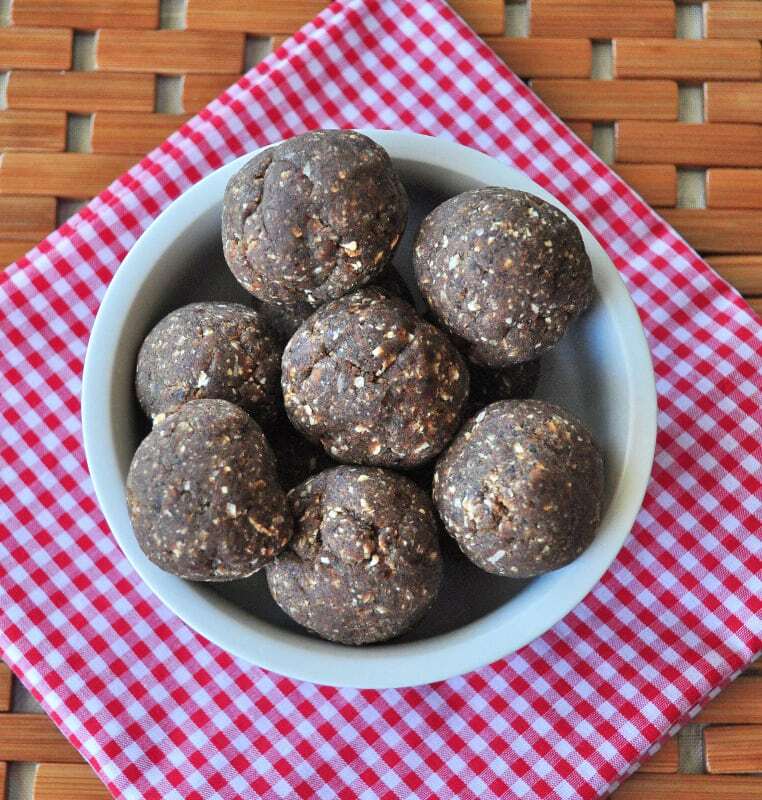 I love almond meal in a few different ball recipes (will have to try out this one, too!) and in a banana bread that a few people have said is "the best banana bread" they ever had! Here's the recipe: http://detoxinista.com/2012/05/almond-flour-banana-bread-vegan-friendly/ Love it! Here's a pancake recipe for the leftover almond meal: http://www.thedailydietribe.com/2011/11/how-to-make-gluten-free-vegan-pancakes.html Also delicious! What would be a good replacement for the dates? I need a low carb option. Dried figs or dried apricots perhaps?